Its weight is great for two-sided printing with minimal show-through. 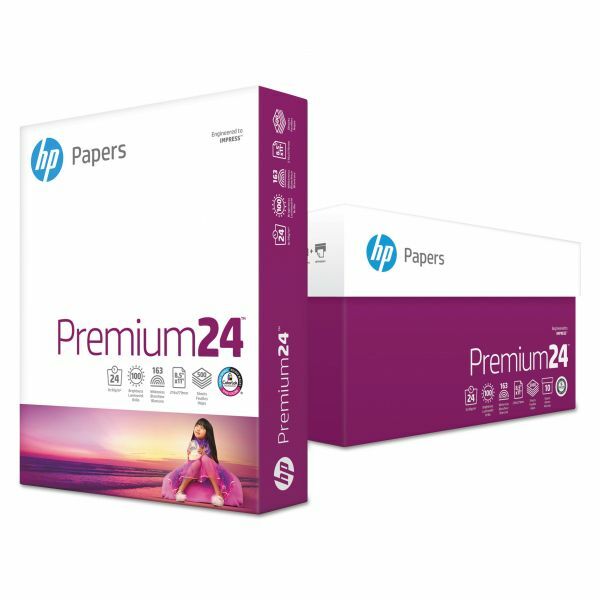 Brighter, whiter and thicker than standard office paper makes this a reliable choice for everyday business documents. Ideally suited for documents that combine text with spot colors such as business plans, reports, proposals and more. 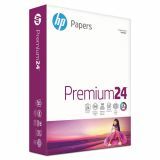 HP LaserJet Paper, 98 Brightness, 24 lb, 8 1/2 x 11, Ultra White, 500 Sheets/Ream - This heavyweight, 24 lb., extra-bright, smooth-surface LaserJet Paper is ideal for reliable everyday business documents. It's brighter, whiter and thicker than standard office papers. With a special finish that virtually eliminates paper jams, acid-free paper produces blacker blacks, crisper text and vivid colors. Heavyweight design is ideal for two-sided printing. FSC Certified paper is perfect for documents that combine text with spot colors.